About ​​Eshelman Accounting Services, P.A. Mary Eshelman, CPA, founder and owner of Eshelman Accounting Services, P.A., loves taking the mystery out of bookkeeping, finances, and taxes for her clients. She is profit-focused and often saves her clients money with her tax and accounting solutions. 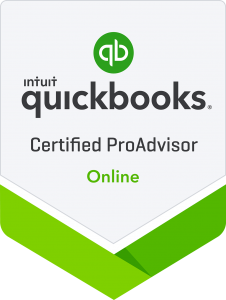 She also enjoys helping clients understand their business finances and helping them with all aspects of using QuickBooks. Some of the recent projects Mary has completed for clients include transitioning a client from QuickBooks 2009 Desktop to QuickBooks Online, re-organizing records for a client with two businesses, implementing a merchant services solution that saved the client approximately 50 percent, and securing a refund of payroll service fees for a client who wasn’t using the product. Mary provides individuals and business owners with tax return preparation and filing, bookkeeping, payroll, business profitability, and QuickBooks consulting, training, and troubleshooting. She has extensive experience with nonprofits, family businesses, and small service businesses such as dental practices, florists, retailers, attorneys, business consultants, auto repair shops, insurance agents, health-related practices, laundromats, and the like. Prior to founding her firm, Mary was a Principal at a Portland accounting firm and worked at large, mid-sized, and small local CPA firms. She gained her 20 years of business experience in Maine working with a prominent map publisher, a large law firm, and the corporate headquarters for a major company. Her experience includes all aspects of accounting services, including individual and business tax planning and preparation as well as financial statement audits. Mary is also a Notary Public for the State of Maine. Mary earned a BA/BS in Accounting at the University of Southern Maine. When she is not working in the summer, you can find her boating, fishing, and bird-watching on the lake she lives on. In the winter, she seeks out sunshine, sand, and water. Mary has three children and one granddaughter.